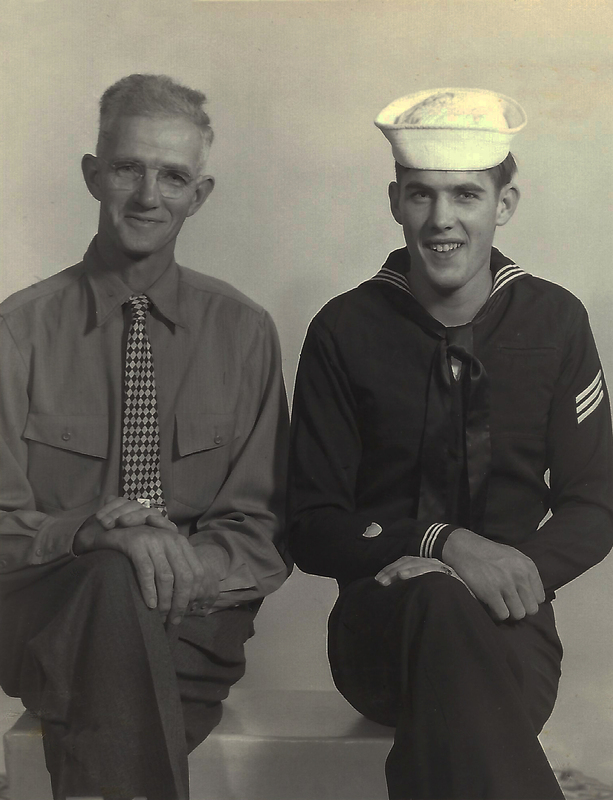 This is my great grandfather and his son Frank who joined the Coast Guard. The Coast Guard motto is ‘Semper Paratus‘, meaning Always Ready. I should interview Uncle Frank and find out about his time in the Coast Guard. I wonder how long he served, where he served, if he enjoyed it, and what cool/scary/funny stories he could tell me. I have an interview brewing in my head right now all because of this photo! Oh do it! The Coast Guard needs more plus I’d love reading about it. The photo is wonderful. Your great grandfather and his son look so similar to each other, and their facial expressions are wonderful–pride on your great grandfathers face, and a bit of apprehension on his son’s face. Thank you Sheryl. I think you summed it up pretty perfectly! Don’t wait. Do it. How I wish I could interview my now deceased family members about not only their military service, but their lives. Thank you. I agree about not waiting. Unfortunately he lives quite far away and can’t hear me on the phone. 🙁 I hope to see him this summer.